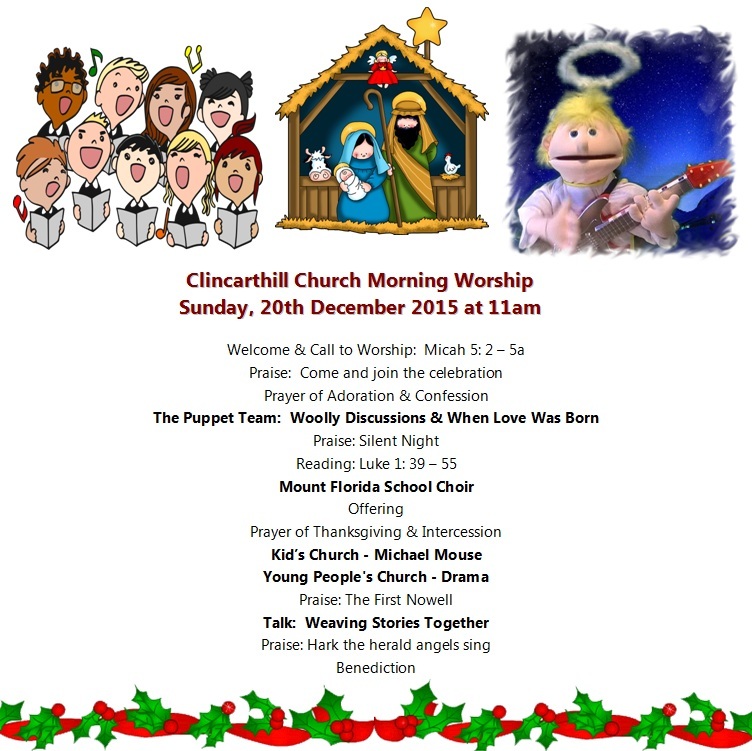 We have a very special service this Sunday morning at 11am – featuring Mount Florida School Choir, the Clincarthill Church Puppets and the young people of the church with a nativity drama. Come and join with us, sing some carols and enter into the real spirit of Christmas. This entry was posted in Uncategorized on 16 December 2015 by admin.